Wishing you all a very merry Christmas! 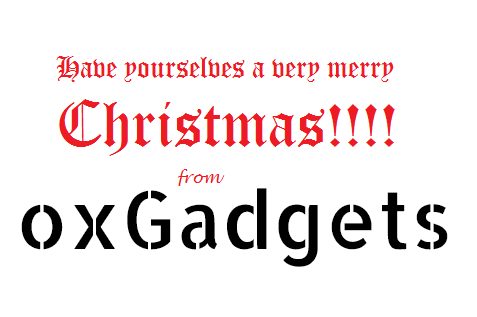 Have a great time, from all the team at OxGadgets, and we shall be back soon! Ps, do let us know all about the gifts you get :D!